A copper mine is opened near the ranch that young Tom Bennett has just inherited, and the pollution from the mine is fast poisoning the cattle on the range. 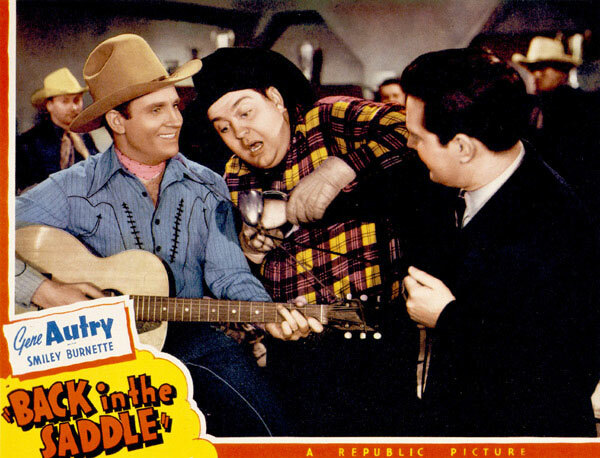 Gene Autry tries to solve the problem by reasoning with both sides, but young Tom's impetuous behavior leads everyone into more trouble than they had expected, culminating in a large-scale shoot-out in which the boomtown is destroyed and the copper mine finally shut down. Original Screenplay Richard Murphy, Jesse Lasky, Jr.